Our range of children’s jewellery from D For Diamonds offers a charming selection of necklaces with various pendant designs that will certainly appeal to young people. The D For Diamond jewellery make perfect gifts for loved ones. Give them a delicate symbol for luck or love on a special occasion such as a christening or birthday that they can cherish for a lifetime. 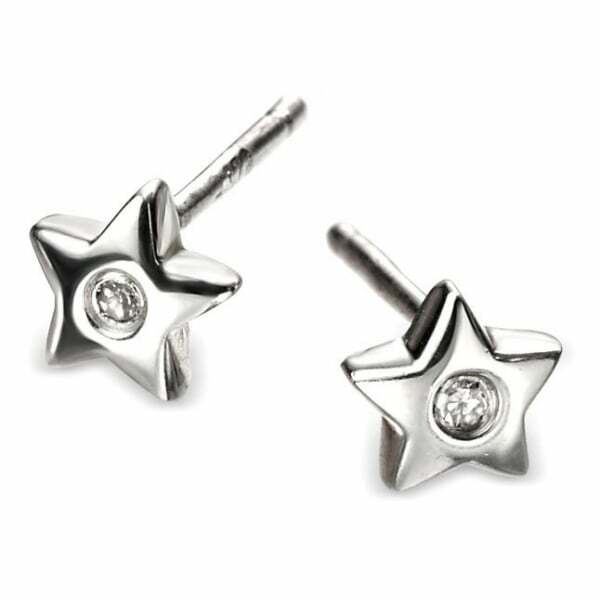 The D For Diamonds earrings for pierced ears include cute daisies, love hearts, stars and bows as a sweet addition to a child’s accessory collection that they can wear everyday. Team a floral bracelet with daisy earrings, or a love heart necklace with heart shaped studs, for a wonderful co-ordinated look! All of the silver jewellery available in this collection come presented in a D For Diamonds gift box, ready to be given as a surprise treat. At Hillier Jewellers we stock such a wide range of jewellery that encompass traditional designs and contemporary styles. Take some time to browse our collections of earrings, necklaces and bracelets for beautifully elegant designs or statement pieces that are just waiting to be added to your jewellery collection.